Have you searched for ‘Trump news’? 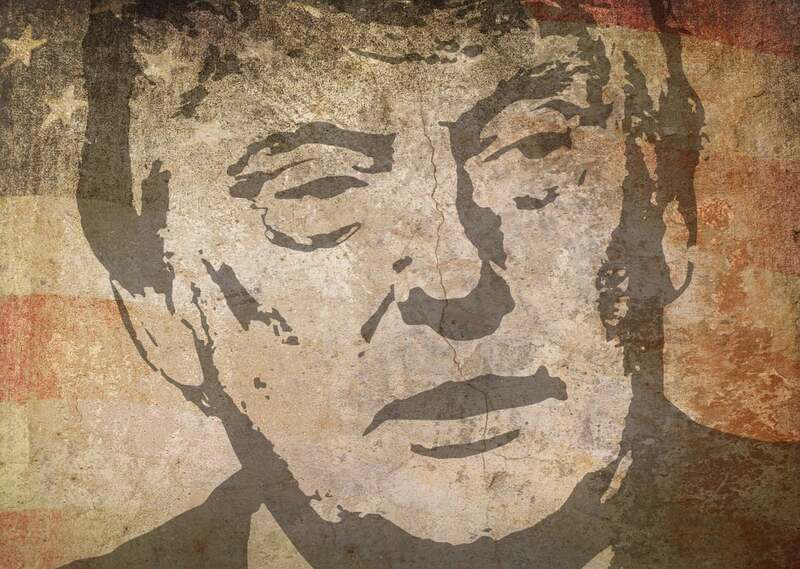 These are pretty serious allegations, and Trump says “This is a very serious situation-will be addressed!” The US President’s tweets will add fuel to the conservative voices that big tech companies have left-wing bias. Besides suggesting that people searching for “Trump News” are being served only negative stories in search results, he indicated that Google could be prosecuted for not including more positive stories about him. Where did Trump find the statistic that 96% of the search results for “Trump News” are from “National Left-Wing Media”? It may have come from the right-wing PJMedia.com, which published a story on August 25 talking about how they came up with that number. 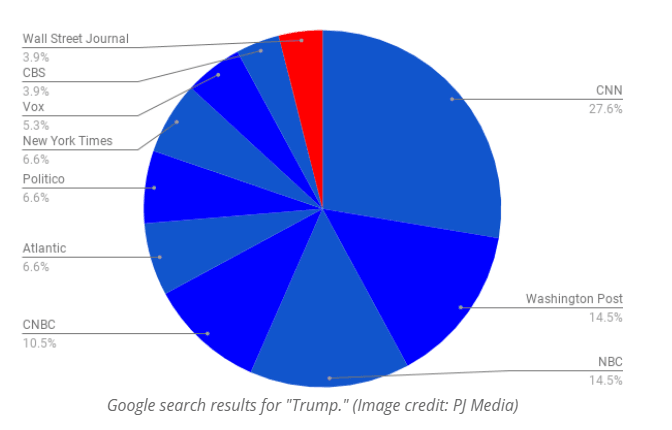 A PJMedia reporter searched for the term “Trump” in Google multiple times from different computers. The reporter looked at the top 100 results and tallied up the perceived political bias of the outlets. The perceived political bias of media outlets was based on a chart by former CNN reporter Sharyl Attkisson. Trump uses the term “Fake News Media” to refer to the outlets that frequently cover critical stories of himself. How are the Google search results determined? Google hasn’t yet responded to President Trump’s accusations. The search engine giant never talks about how its algorithms work. However, its method of ranking search results is far more complex than Trump suggests. Google takes a wide range of inputs about websites with the aim of showing the most relevant search results to users. It ensures that the sites are well-established, secure, trustworthy, and legitimate. A user’s search history also influences the Google search results. That’s what might have happened with Donald Trump. The search engine giant constantly changes its algorithms to ensure that media outlets can’t game the system. If it reveals how its algorithms work, most publishers would figure out a way to game it. But its decision to keep the algorithms a secret has gotten Google in trouble with abusive, offensive and political content more than once. This is not the first time Donald Trump has attacked technology companies. Previously, he has criticized Facebook and Twitter for their “discriminatory and illegal” practice of “shadow banning” where posts of certain users are not visible to most of their friends and followers, even though the users aren’t technically banned. Twitter CEO Jack Dorsey responded by saying that Twitter employees were “more left-leaning” but it didn’t affect what appeared on the platform. Last month, representatives from multiple technology companies appeared before Congress to address the allegations of censorship. Twitter CEO Jack Dorsey and other tech executives are scheduled to appear before the House Energy and Commerce Committee on September 5th. Dorsey is expected to discuss Twitter’s “algorithms and content judgment calls.